While Argentina has become the go-to source for top-end Malbec, it was the historic home of the grape, Cahors, which got the highest score in the biggest Malbec tasting of 2018. For the first time ever in the history of the Global Malbec Masters, which sees top judges sample over a 100 wines made from Malbec from all corners of the world, the best performing red was not from Argentina, but France. Hailing from Cahors in the southwest of the nation, the exceptional 100% Malbec wine was made by Château Lagrezette, a stunning property owned by former CEO of Cartier, Alain Dominique Perrin. Called Cuvée Marguerite, the wine comes from a vineyard called Massaut, which contains two distinct soil types, one that is pure gravel and another that mixes gravel with clay. Due to the specific plot and the low yields of the vineyard (35hl/ha), and stringent berry selection process, just 5,000 bottles are produced on average, with the wine made under the supervision of famous wine consultant Michel Rolland – himself a prominent figure in the production of Malbec from Argentina as part owner of the Mendoza-sourced brand Clos de los Siete. Having tasted the wine from Château Lagrezette without knowledge of its region of production, the judges were focused entirely on assessing the Malbec for quality, and gave it the highest marks of the day’s sampling – awarding it 97 points and the ultimate accolade of Malbec Master. Impressing the tasters in particular was the combination of concentration in the wine with a compensatory freshness on the finish, along with its fine dry ripe tannic structure – an important trait for any great red. Meanwhile, the array of flavours, from fleshy black cherry, to ripe plums, spice and a touch of creamy oak, also gave the wine huge appeal. The Cuvée Marguerite, which was from the 2015 vintage, appeared youthful, but it was also felt that it has great potential to mature and develop greater complexity with age, even if it is wonderful now. Also performing extremely well in the tasting was another Malbec from the same producer, called Paragon, which hailed from the 2015 vintage too. Even more concentrated than the Cuvée Marguerite, the Paragon was packed with very ripe black fruit backed up by plenty of firm tannins, and, although hugely impressive, it was the balance in the former Malbec that meant it got the slightly higher score. Nevertheless, Argentina still performed brilliantly, picking up the majority of Gold medals in the tasting, while, rivalling the Cuvée Marguerite from Cahors was a Malbec from Mendoza: the ‘Black Tears’ 2013 Malbec from Bodegas Tapiz. Using grapes from Argentina’s Uco Valley, the wine had a slightly sweeter fruit character than the top wine from Cahors, and the Tapiz top expression had a hint of raisin, along with a touch of coconut to its taste, presumably from the new oak used in its maturation. But such richer flavours weren’t too much, and gave a power and depth to the wine, which also showed plenty of pure berry fruit and ripe fine tannin, making it big, but not tiring to drink. However, while the greatest expressions from Argentina yielding very high scores, it was most surprising to see Cahors making Malbec at the top of the pile, even though it is the native home of this grape. Such a turnaround in Malbec’s performance in this southerly part of France comes from a greater focus on lower-yielding viticulture in particular, as the top estates in Cahors seek to compete with the rest of the world, where Malbec-based reds tend to be rich and powerful, and as a result, a brilliant partner for steak. 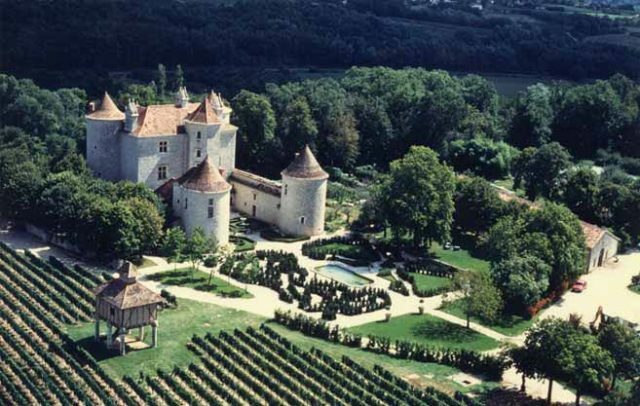 As Michel Rolland told db in a recent exclusive interview, “Cahors was in the Middle Ages, now it makes beautiful wine”. Click here to read more from that interview. And click here to see the results in full from the Malbec Masters 2018. Meanwhile, click here to enter the Malbec Masters 2019.